Liahona Academy is a residential treatment center that helps troubled boys having family issues and struggling with their transformation from adolescents to adulthood. We give troubled boys a structured environment that is safe for them to work through their issues, mild or extreme. If you are a parent looking for help and Liahona Academy sounds like the place for your troubled boy call us at 1-800-675-8101. Family issues with troubled boys are normal and have a factor that effects them. Troubled Boys under stress, seeking independence, being rebellious, or lacking communication can cause family issues. Troubled Boys are often angry, disrespectful, have attitude, and use bad language but this doesn't’t mean they are bad kids, they just need help and support to work through their issues. Issues in troubled boys can go from being very mild to extreme, its important for parents to get help for their troubled boys as soon as possible. Although family issues are normal, if you find your troubled boy involved with drug or substance abuse, withdrawn from friends or family, poor school performance, behavioral issues, emotional issues, or having sleeping problems it is best to get professional help. Residential treatment centers can help troubled boys with extreme issues like these. Liahona Academy can help troubled boys that have gone from having minor or mild issues to extreme issues with their family. 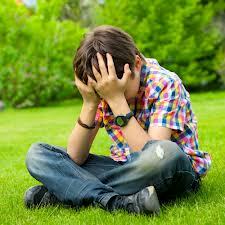 We help troubled boys that struggle with addictions, family issues, behavioral issues and emotional issues. Our students are provided with therapeutic activities hiking being one, that help with our therapeutic treatment. At Liahona Academy we care about your troubled boys success in their adult life. We provide individual, group, and family therapy. If you are having family issues and your troubled boy is in need of help Liahona Academy may be your answer, call us at 1-800-675-8101.